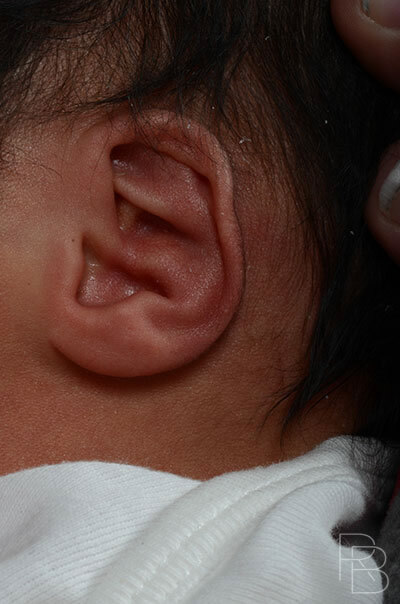 The ideal candidate for this commonly performed procedure is a newborn/ neonate (< 3weeks old) that has malformed ears. This is relatively common and can affect up to 30% of all families. Unfortunately, it is difficult to predict which will get better, and up to 70% of children will not improve or get worse. 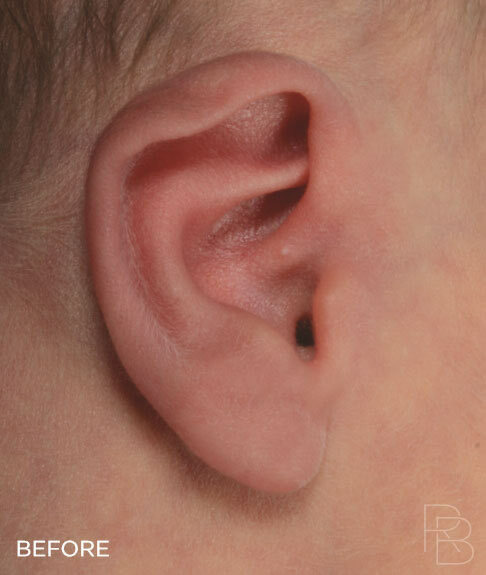 Frequently, ear malformations become a source of teasing and bullying in later years. 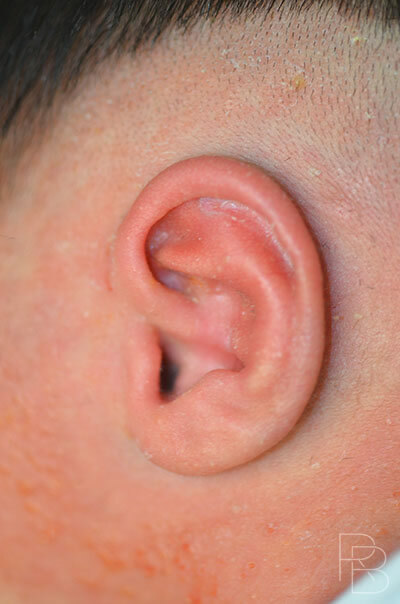 Improper folding of the upper portion of the ear (lop ear), excess ear protrusion away from the head, prominent earlobes, or a combination of these findings are the typical problems that can be treated. Early intervention takes advantage of early cartilage softness resulting from maternal estrogen effects. 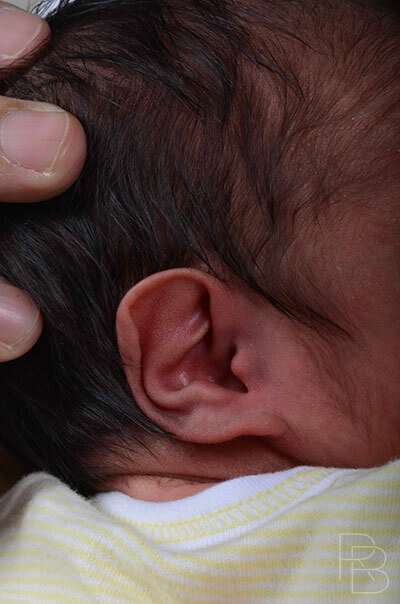 Correction using Earwell System can make an impressive, life-long, and natural improvement within the first few months of life. The EarWell molding device is utilized as soon as possible after birth. No anesthetic is needed for this painless, non-surgical procedure. After normal feeding, we gently swaddle the baby and the appropriate mold is sized. A small amount (approximately 1 inch) of the surrounding hair is shaved to allow the device to remain secure to the skin. 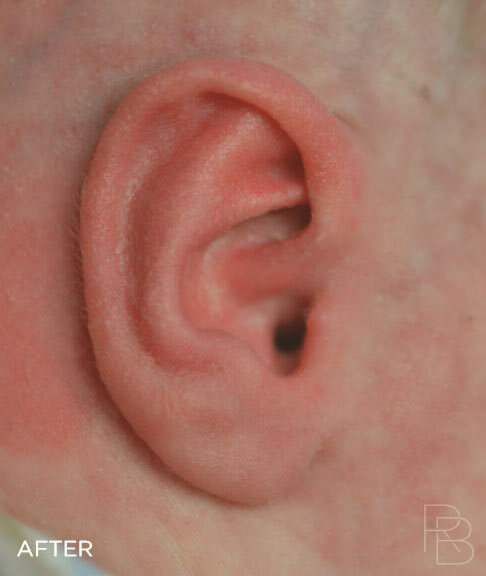 Once secured, soft retractors are placed within the mold to recreate the ideal ear cartilage shape and position. The retractors are then enclosed by the breathable lid, which holds everything in place and secure until the follow-up visit. 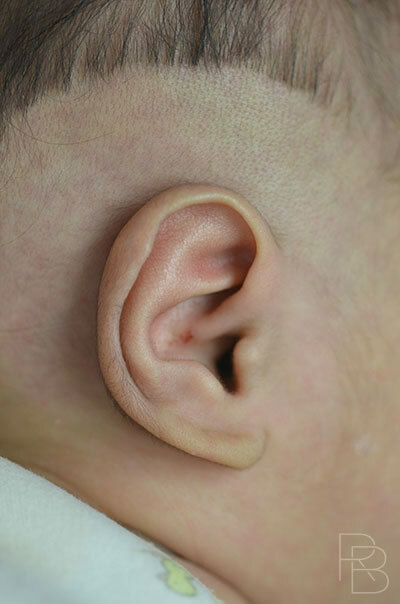 The molds largely go unnoticed by the baby and do not affect his/her hearing or development. Avoiding moisture or food from entering the mold is usually the most challenging part of the after procedure care. Sometimes skin irritation can be caused by the adhesive but is not a common issue. At 2-week intervals, the mold is completely removed, the skin is cleaned, and the ears are carefully inspected. The molds are then reapplied to further support the correction and make adjustments as necessary. The usual duration of treatment is 4-6 weeks total. No other care is needed once the treatment is completed and the contour improvement achieved is usually permanent.